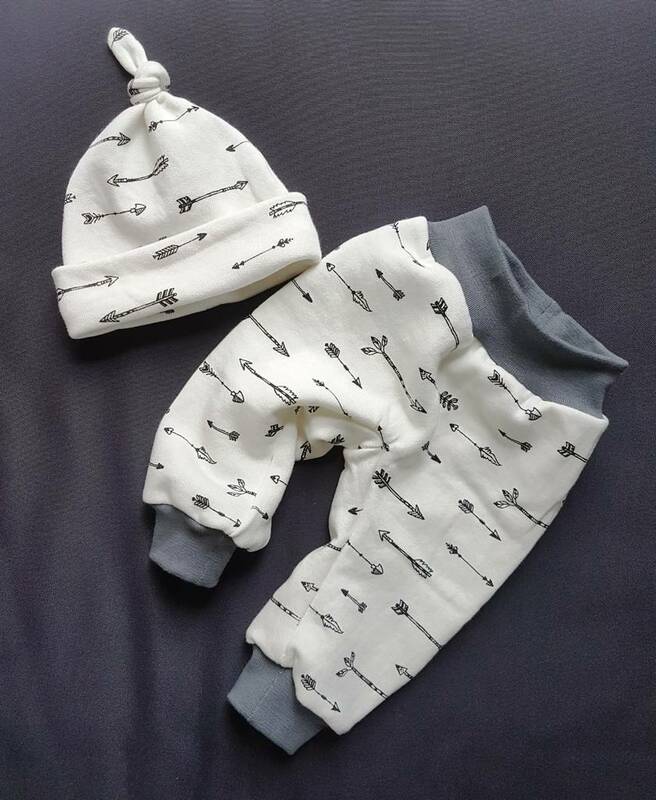 Cute handmade set of matching knot hat and comfy pants. Made of cosy sweat fabric with brushed back for soft feel and warmth; composition 95% Cotton, 5% Elastane. 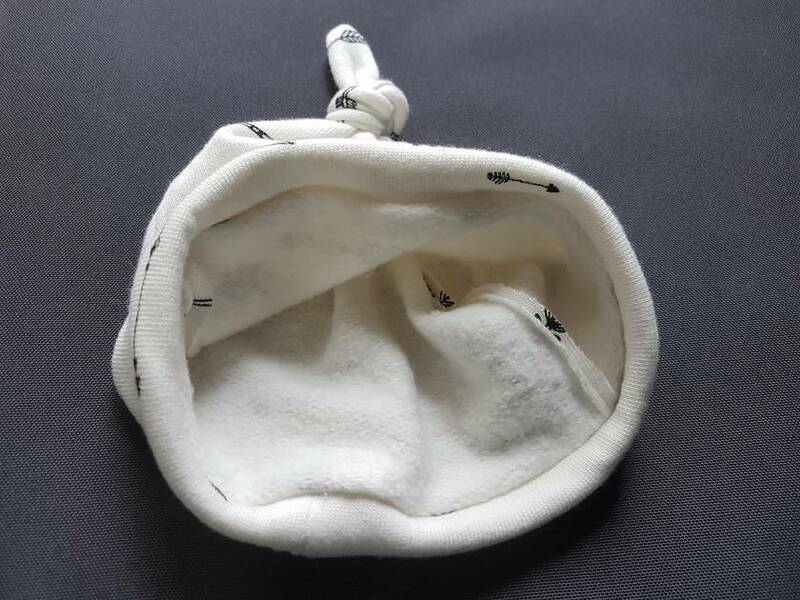 The comfy fit also works great for bulkier cloth-/ reusable nappies. Comes with adjustable 'leg'length with the leg cuffs worn either folded in or out. Strong overlocked seams. Customise: choose colour for waistband and leg cuffs - pink, blue, bright green, grey or black. See pics. 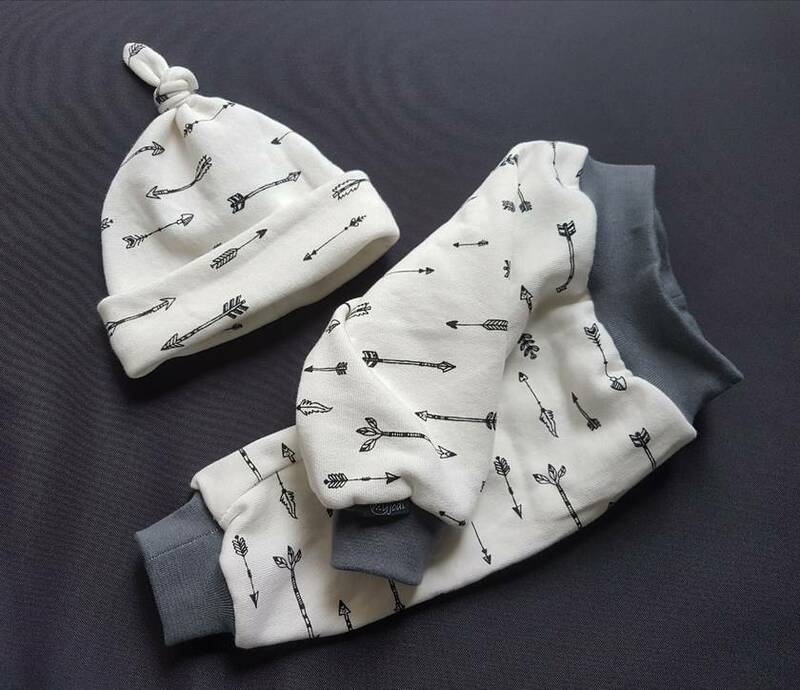 Outward facing brim seam (hidden) for baby's comfort. Narrow triple stitching used on side seams for strong hold with inside edges beeing minimal and comfortable. Contact myjodi to enquire about payment or shipping options.